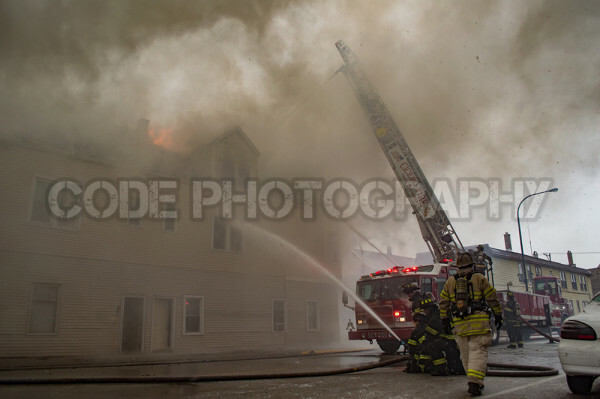 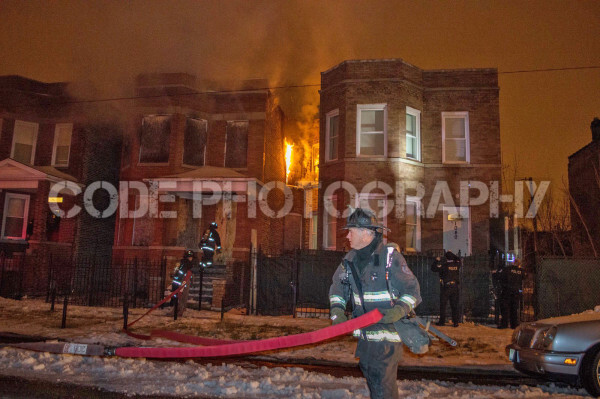 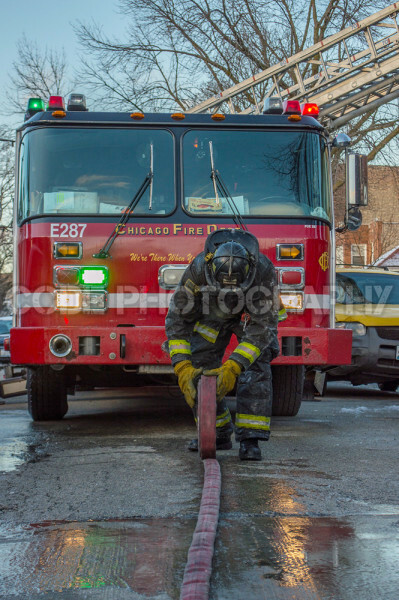 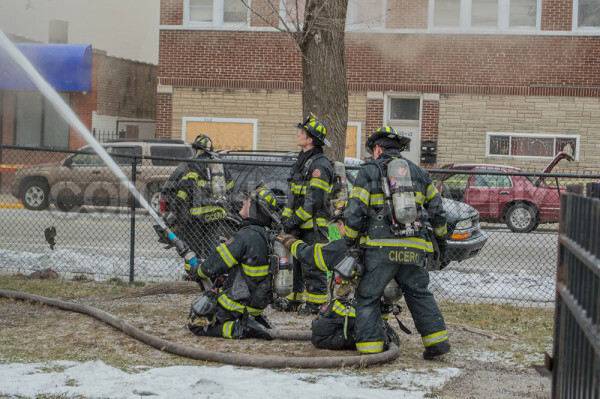 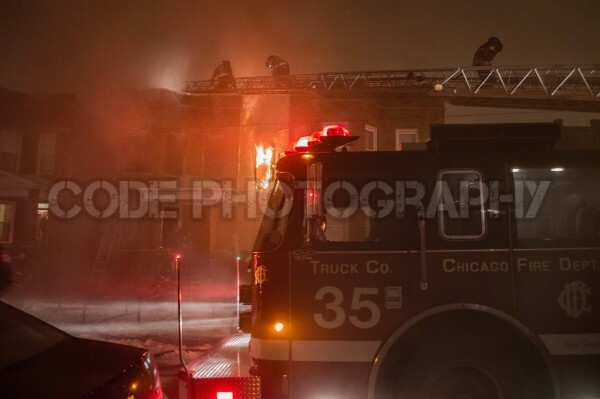 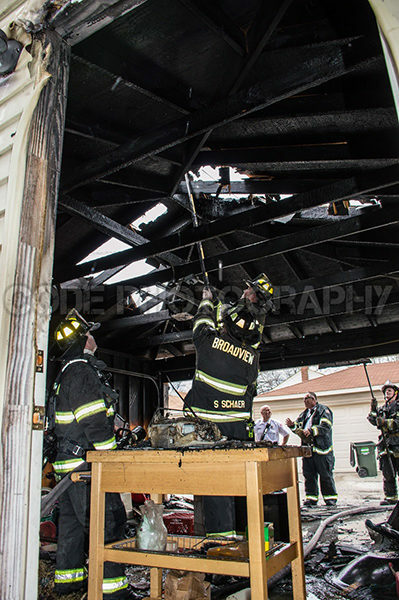 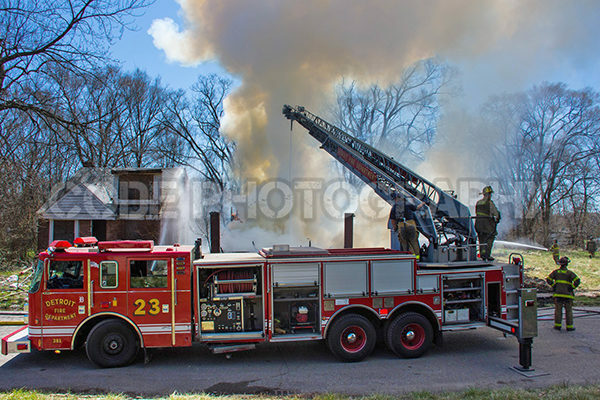 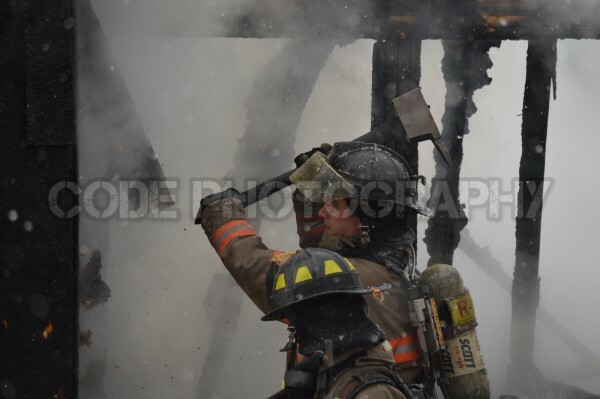 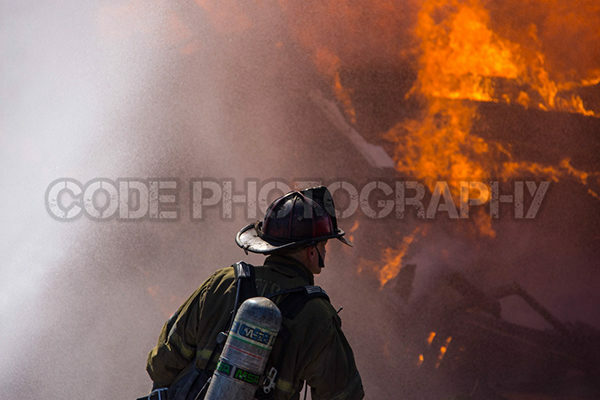 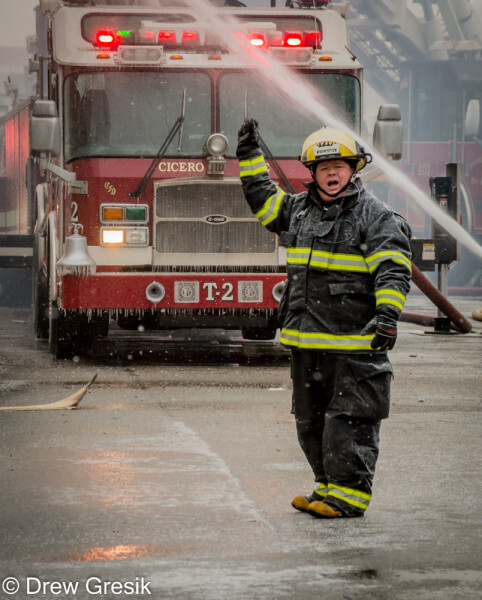 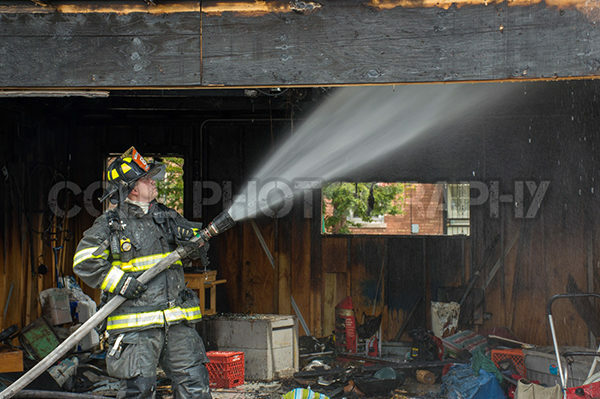 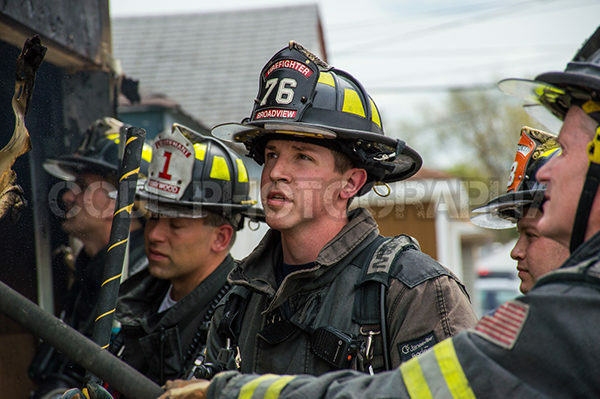 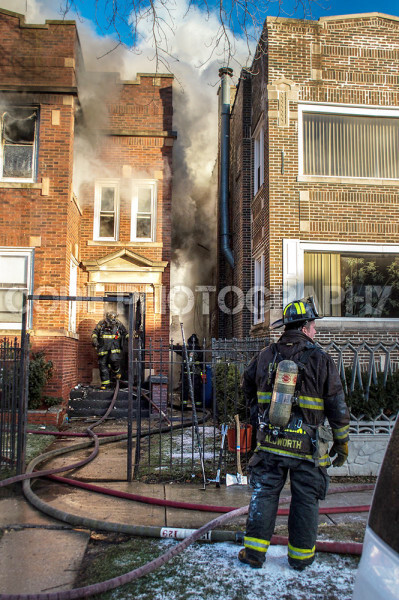 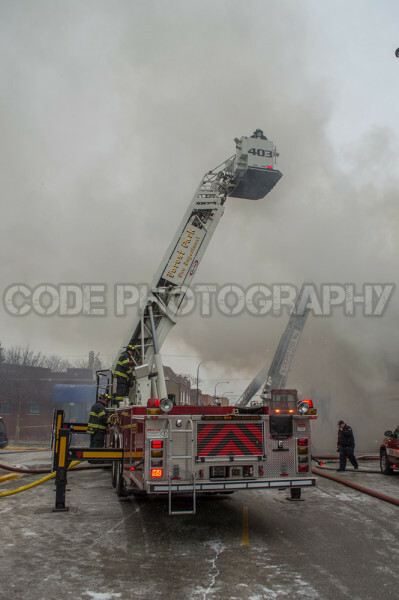 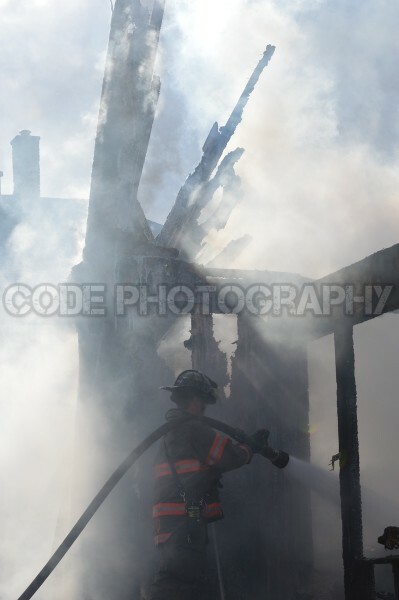 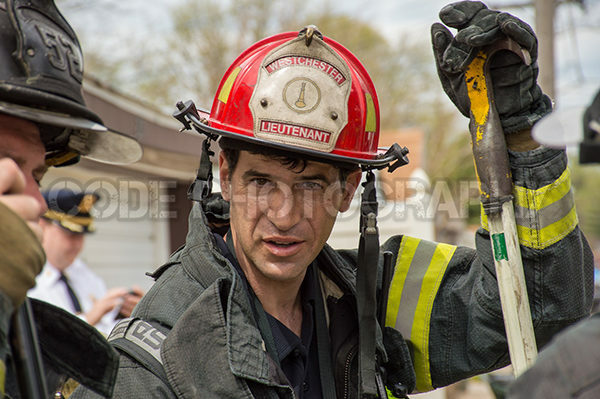 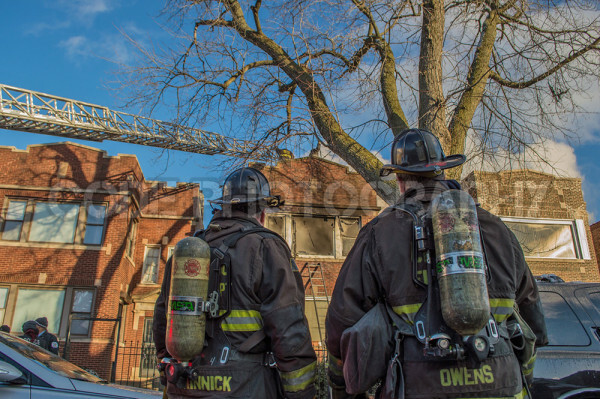 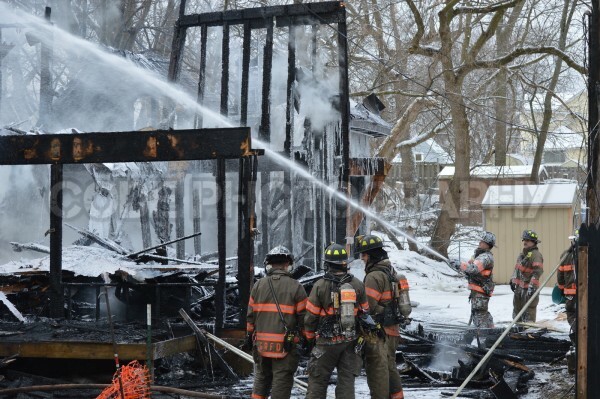 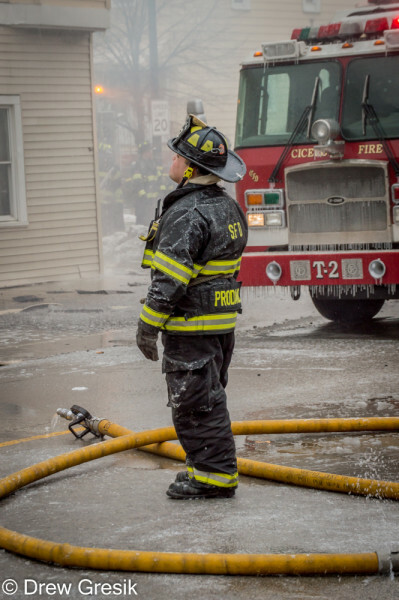 Here are some photos from the alley garage fire on 22nd Ave on Thursday in Broadview, IL. 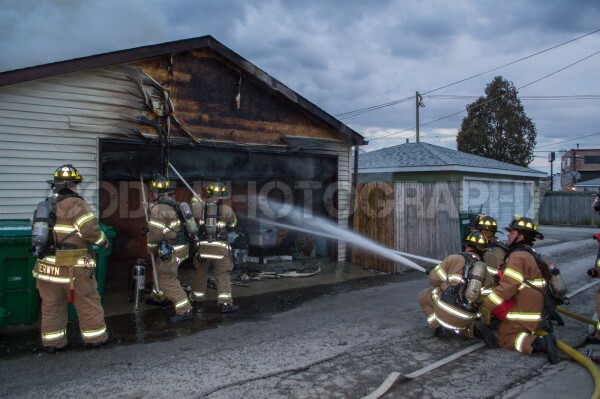 They arrived to fire in the garage, pulled one line and made a quick knock. 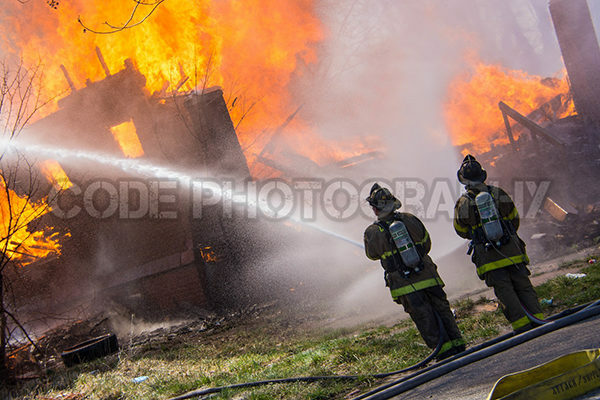 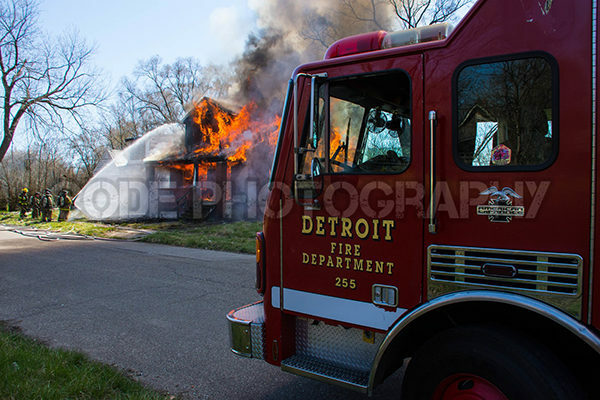 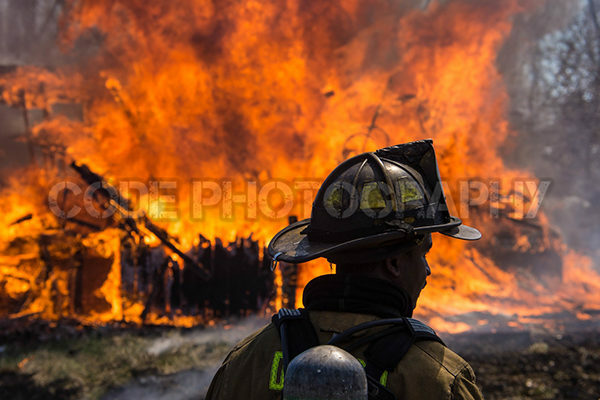 Here are some photos and a video of the box alarm vacant house fire in Detroit at Camden and Dickerson. 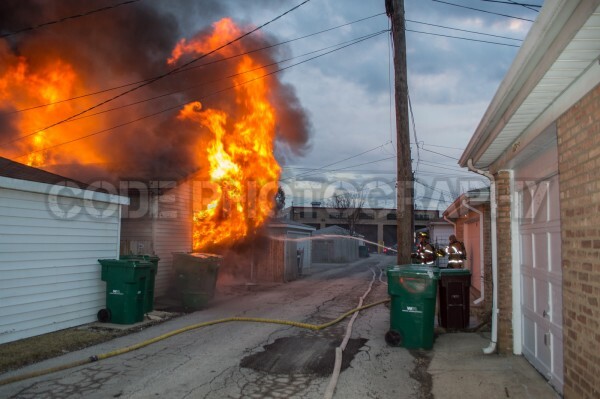 Chief 9 reported smoke showing before even going on scene, Engine 50 went on scene and reported they were stretching on a dwelling. 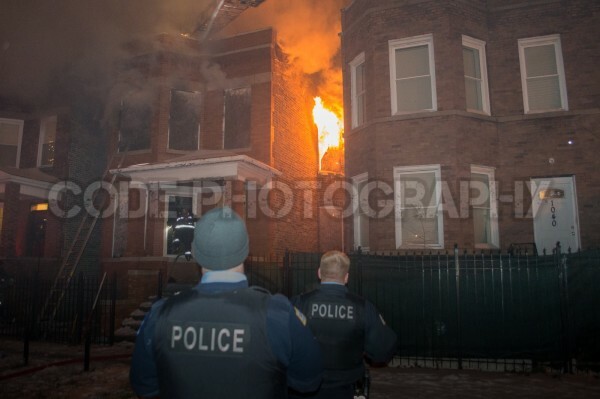 Chief 9 arrived on scene and reported a two-story vacant dwelling with fire throughout and that they were going to take a defensive posture. 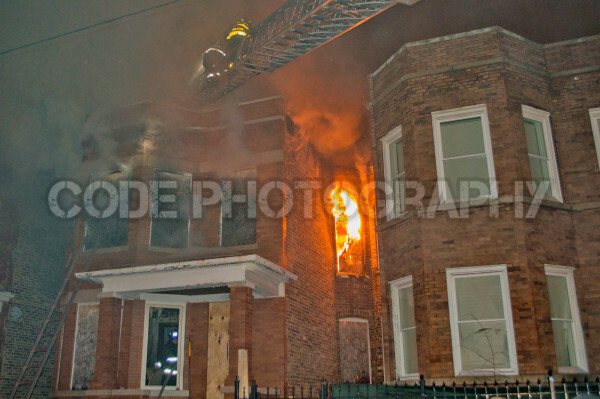 We were about 15 minutes away when companies started going en route. 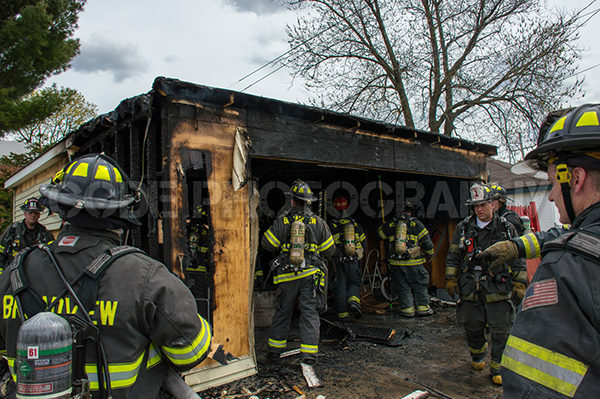 Here are some photos of the garage fire in Berwyn (IL) on 2-28-16. 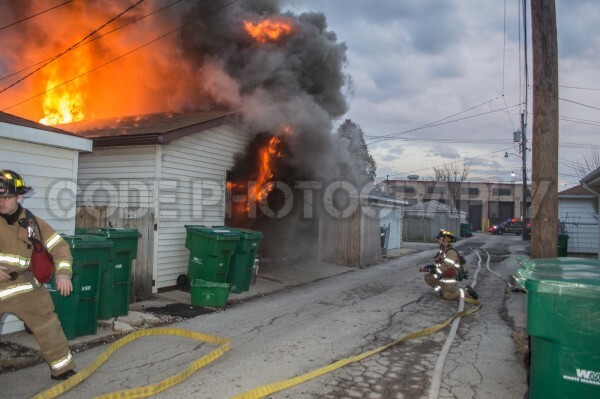 They arrived with a chair on fire in the garage which eventually led to the entire garage going up. 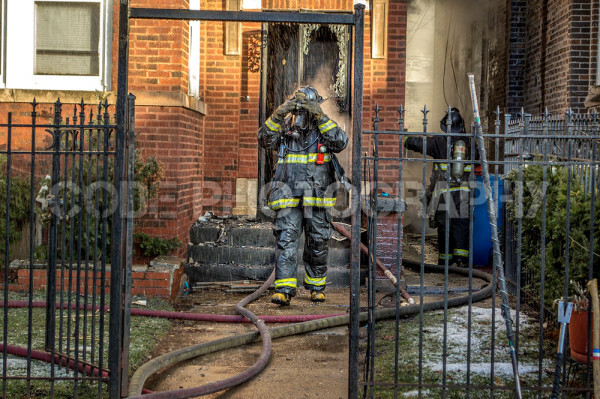 They made a quick knock though. 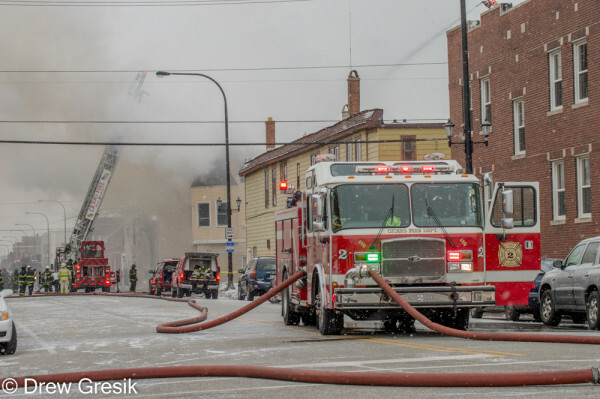 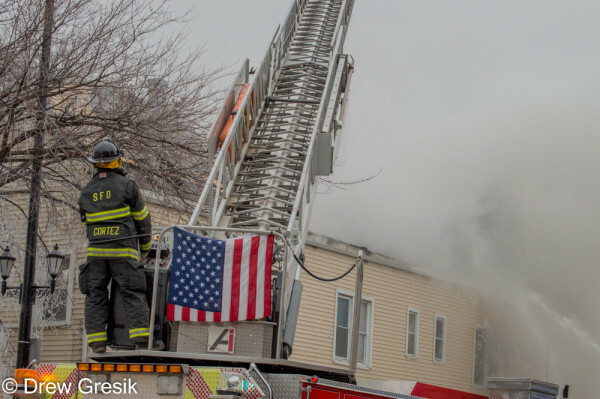 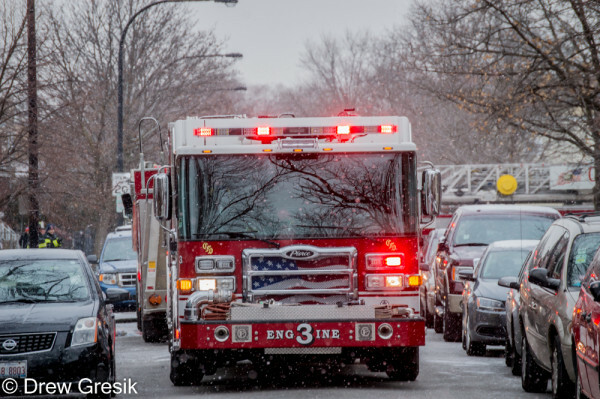 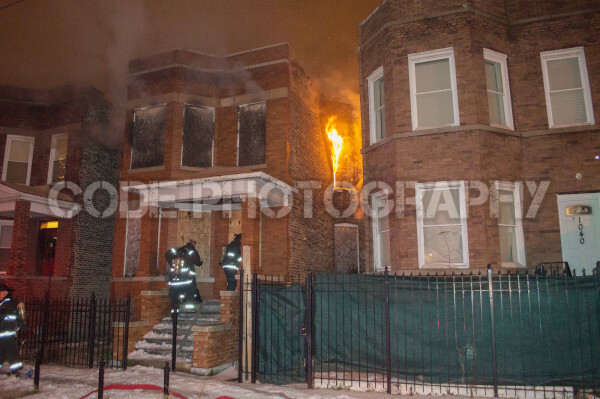 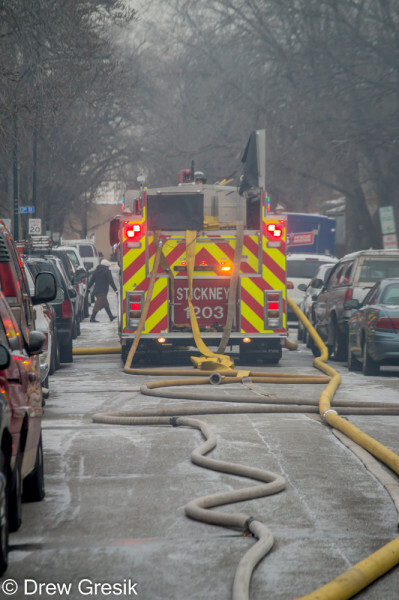 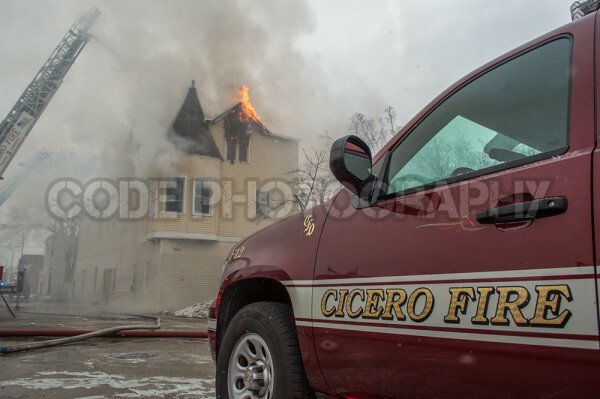 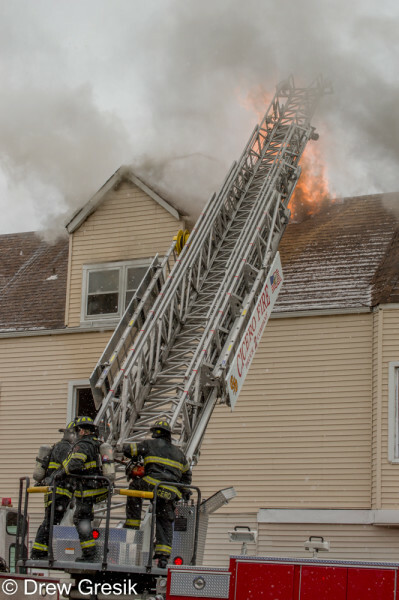 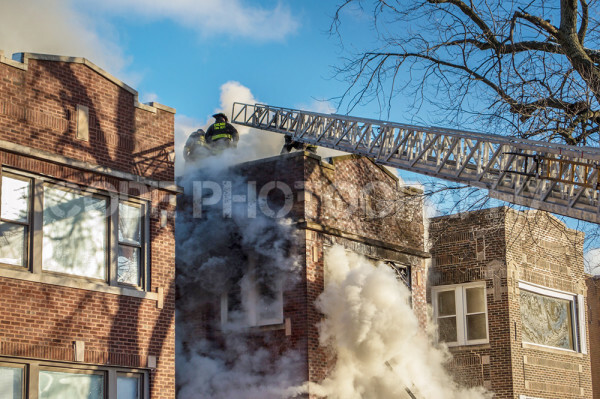 Here are some photos and a video of the Box Alarm Apartment Fire in Cicero, IL on 1-11-16 at 1401 51st Ct.
Companies arrived on scene with smoke showing from the eves and fire on the second floor. 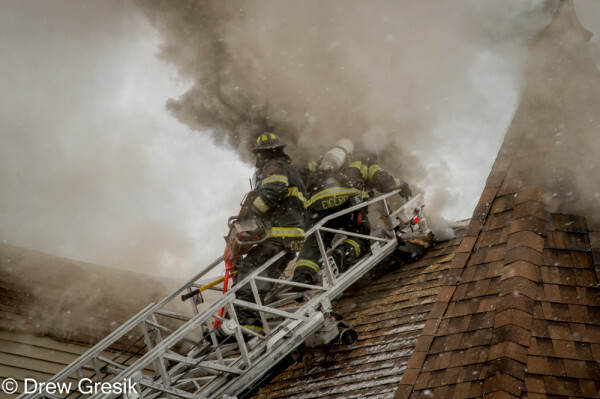 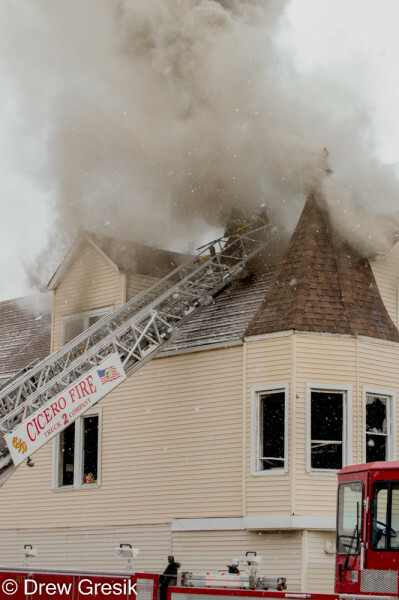 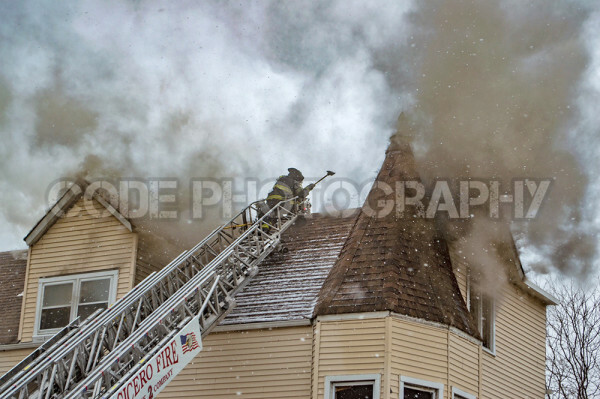 They initially went for an interior attack, vented the roof letting fire through the roof. 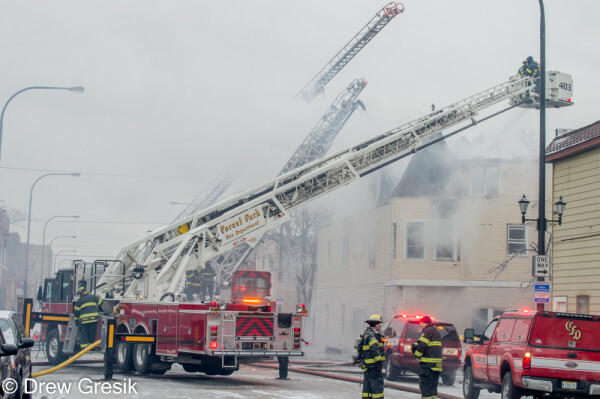 At that point they had fire on the third floor, companies pulled out and went defensive requesting a box alarm with a special request for Forest Park’s tower. 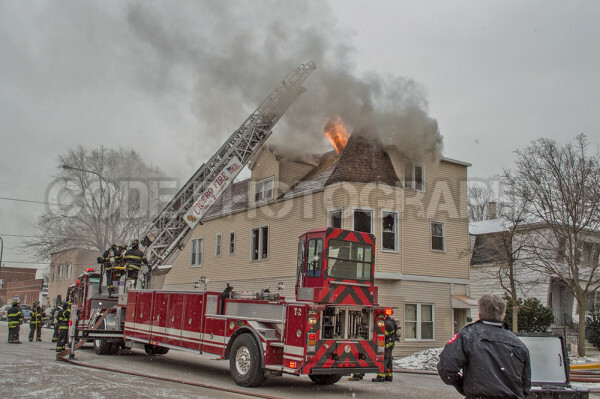 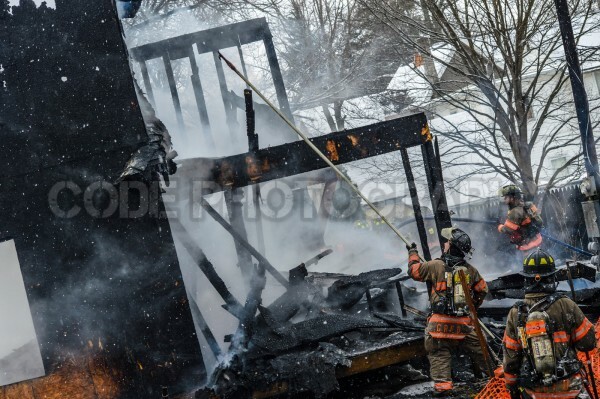 Here are some photos of the house fire on Ford Ave in Grand Rapids, Michigan (1/10/16). 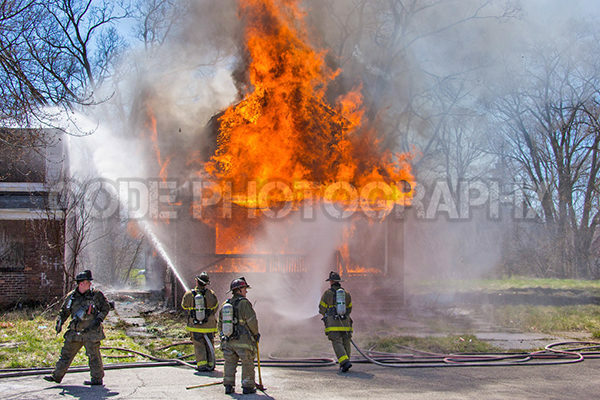 The house was a two story vacant, fully involved, wires down, and extensive over haul.